Workshop "Evangelicalism and Charismatic Christianity"
Workshop "Studying Pentecostalism in a Transcultural Perspective"
On April 1 - 2, 2016, JRG B21 in conjunction with the Department of Philosophy and Religious Studies of Utrecht University organized a workshop on "Religion in Urban Contexts." 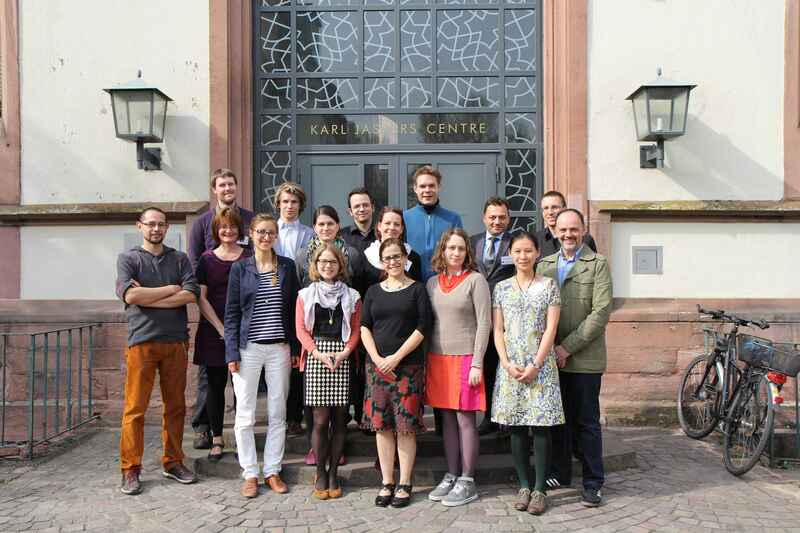 On February 5 - 6, 2016, JRG B21 "Religion, Media and Digital Humanities" organized the workshop "Digital Humanities und Religionswissenschaft" in conjunction with the annual meeting of the DVRW Arbeitskreis "Religion und Moderne Massenmedien (AKR3M)." The JRG organised a panel on “Pentecostalism and Charismatic Christianity in Southeast Asia: Church – Nation – World” at the XXI World Congress of the International Association of the History of Religions (IAHR) in Erfurt, Germany, August 23 – 29, 2015. In July 2015, members of the JRG presented their research during the panel “Interdisciplinary Perspectives on Charismatic Christianity in Contemporary Singapore” at the 9th International Convention of Asia Scholars (ICAS 9) in Adelaide, Australia, July 5 – 9, 2015. The panel was organised and hosted by the Junior Research Group. Political discourse theory and poststructuralism were the topics of two events with Prof. David Howarth (University of Essex) held in May 2015. The political theorist was invited by the working group "Political Theory and Transculturality", an initiative by the Junior Research Group "Transcultural Dynamics of Pentecostalism," MC3 "Negotiating Religious Identities," and MC7 "Political Legitimation." A Protestant movement that prescribes "spiritual warfare", i.e. the fighting of demons, was the topic of a guest lecture by Prof. Sean McCloud (University of North Carolina). The event took place on Tuesday, April 28. 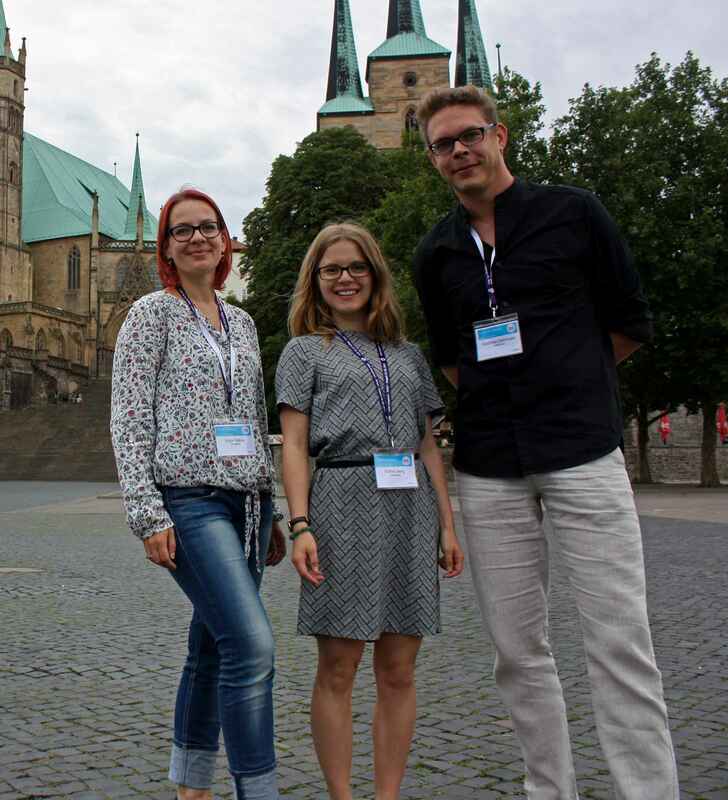 It was organised by Junior Research Group B21 "Pentecostalism," which is coordinated by Dr. Katja Rakow. In November 2014, the JRG organised the international workshop "Evangelicalism and Charismatic Christianity - Themes, Theories and Methods." The keynote lectures were delivered by James S. Bielo (University of Miami, OH, USA) speaking about “Immersive Christianity: On Religion, Entertainment, and Globalization” and Simon Coleman (University of Toronto, Canada) presenting on “Gates and Globes: Connections and Disconnections in Studying Swedish and Nigerian Pentecostalism.” The workshop formed the inaugural meeting for the new working group “Evangelical, Pentecostal and Charismatic Movements” of the German Association for the Study of Religion (DVRW). On July 17, 2013, the JRG organised a workshop on “Social Dynamics of Global Pentecostalism: Gender, Social Change and Upward Mobility” with Bernice Martin (University of London, UK) and David Martin (London School of Economics, UK). 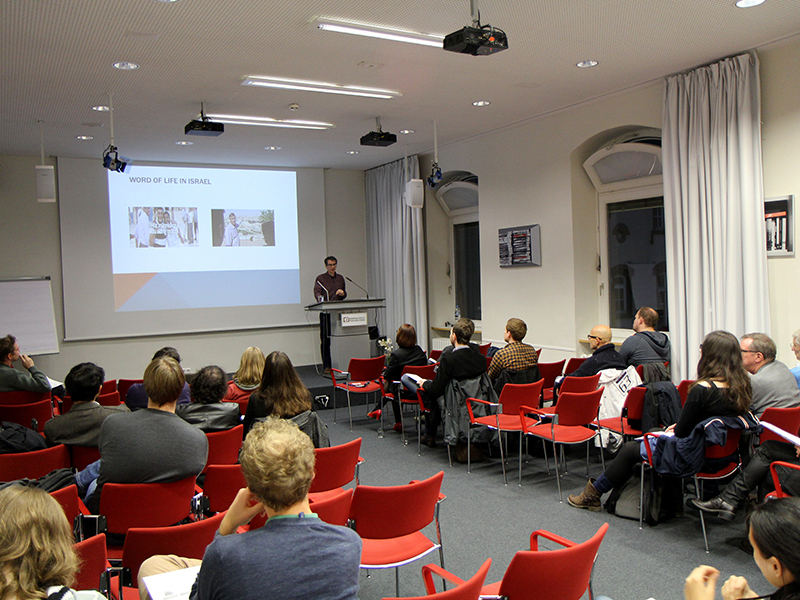 On Thursday, January 14, 2016, Katja Rakow gave a lecture "Pfingstkirchen in Südostasien als amerikanischer Export? Ein kritischer Blick auf das hegemoniale Narrativ: 'From the West to the Rest'" for the lecture series "Religionswissenschaftliche Perspektiven auf das weltweite Christentum” at Bremen University. In a workshop that explored "Christmas in the Multicultural City" at Tübingen University in December 2015, Katja Rakow presented her research on Christmas on Orchard Road in Singapore. Katja Rakow presented part of her ongoing research in paper on "Materiality and Memory: The Bound Bible as Material Anchor for Nostalgia" in a panel on "The Work of Material Memory: Nostalgia, (Dis-)Comfort, and Identity Construction in Religious Practice" at the Annual Conference of the American Academy of Religion (AAR) in Atlanta, USA, in November 2015. In October 2015, Esther Berg organized a panel on "Megachurches: Scales of Observation and Knowledge Production" at the Cluster's Annual Conference on "Scales of Knowledge. Zooming In and Zooming Out" in Heidelberg, Germany, October 7-9, 2015. Drawing on their respective disciplinary backgrounds, research and case studies, the three panelists, Matthew Wade (Australian National University), Kathrin Kohle (Heidelberg University) and Esther Berg (Heidelberg University), interrogated the interplay between scales of observation and knowledge production in research about megachurches. The panel was chaired by Dr. Katja Rakow (Heidelberg University/Utrecht University). In May 2015, Matthias Deininger, member of Junior Research Group "Transcultural Dynamics of Pentecostalism", has been awarded the prize for the best poster presentation at the conference "Religion, Gender and Body Politics, Postcolonial, Post-secular and Queer Perspectives" at Utrecht University. His paper examined the topic of "Preserving the Heteronormative Status Quo: Public Morality, Evangelical Christians and the State in Singapore." In January 2015, Katja Rakow was invited to deliver the lecture "Religion als Konsumgut - Glaube als Konsumhandeln" at Prof. Dr. Ronald Hitzler's lecture series "Konsum als Handlungsproblem" at Technische Universität Dortmund. Junior Research Group leader Katja Rakow presented the paper "The Bible in the Digital Age: Negotiating the Limits of Materiality in Religious Practices" at the Conference "Christianity and the Limits of Materiality" held at Turku University, Finland, in September 25 - 26, 2014. 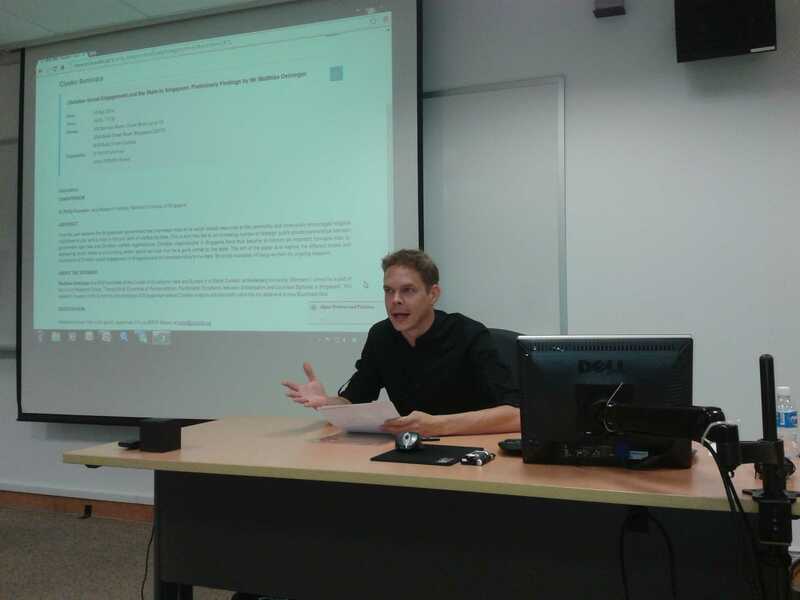 On September 18, 2014, Matthias Deininger had the chance to give a lecture and present some preliminary findings of his ongoing field research at the Asia Research Institute (National University of Singapore) titled "Christian Social Engagement and the State in Singapore." Dr. Katja Rakow and Esther Berg from Junior Research Group "Pentecostalism" presented their research at the 8th conference of the European Research Network on Global Pentecostalism (GloPent) at SOAS, University of London. The conference was convened under the theme of "Pentecostalism and Development" on the 5th and 6th September 2014. Matthias Deininger participated at the XVII World Congress of the International Sociological Association (ISA) in Yokohama (Japan) from 13-19 July, 2014. Within the panel "The Impact of Neoliberal Policies, Practices and Ideas on Religious Organizations" which was organised by the Research Committee Sociology of Religion, he gave a presentation titled "Neoliberalism, Social Christianity and the State in Singapore". From 10-17 August, 2014, Matthias Deininger took part in the Summer School "Cityscapes and New Religiosities in Asia" at Georg-August University, Göttingen (Germany), organised by the research networks DORISEA (Dynamics of Religion in Southeast Asia) and CETREN (Transregional Research Network). On May 30, 2014, Katja Rakow presented a part of her ongoing research on transcultural dynamics of Pentecostalism under the title 'Bringing the Gospel Revolution from Singapore to the USA' at the National University of Singapore (NUS).